King has Derry, Maine and Dickens had London, England. And now C. J. Tudor takes readers to the tiny English village of Anderbury in a style that echoes both of these legends. Similar to how Dickens opens A Tale of Two Cities with that now famous “It was the best of times, it was the worst of times” passage, C. J. Tudor lures readers into The Chalk Man with a brief section that is both poetic and prophetic. This chapter – hardly more than a few paragraphs – follows a short prologue and finds our narrator debating just when the crucial events, which form the crux of the novel, actually began. After all, beginnings are so very important. Not only does this immediately capture the reader’s imagination, it also provides a nice entré into the book’s structure – that of alternating time lines traveling back and forth between 2016 and 1986. 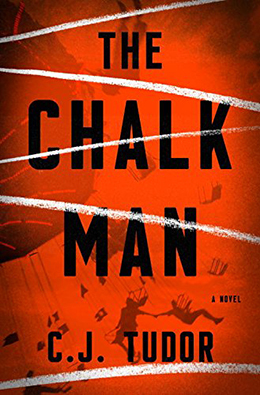 The Chalk Man is a coming-of-age story that uses a horrific crime within this quiet village as a catalyst for the maturation of a group of kids. Eddie “Munster” Adams is the first person narrator of the tale. Growing up in the mid-eighties, he and his cohorts – Fat Gav, Metal Mickey, Hoppo, and (the only girl member of their mini-tribe,) Nicky are living care-free lives until a trip to the local carnival alters their trajectory forever. 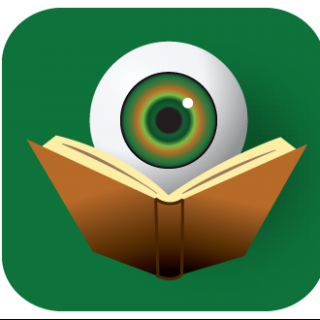 A tragic accident connects Eddie’s fate with that of new albino teacher, Mr. Halloran, and no one will be same afterwards. Told as a memory piece, the older Eddie (of 2016) is now a teacher himself and his complacent life is shattered when he receives a letter containing a chalk stick figure – the same symbol he and his pals used to communicate during that fateful summer of 1986. Unable to reconcile past events, Eddie launches an investigation to uncover the truth about that summer’s murder and the intimate role he played in its outcome. The Chalk Man is a debut to cling to. I suspect readers will one day look back fondly on this novel as the beginning of a very long author/fan relationship. Yay. I am so glad to hear that. I hope many readers find this gem.